Claire: The Queen of the Rubies, in a most natural pose. Bridget: The Snow Queen, regal as always. For both of you, dressing up in your "gorgeous dresses" was more exhilarating than getting a bag full of candy. 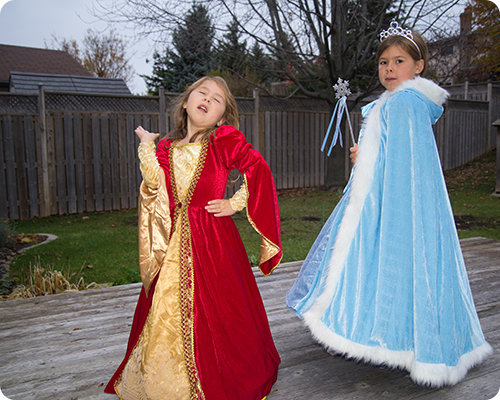 Oh wow those are truly fabulous dresses, especially the Snow Queen's amazing cloak! Thanks Gracie. It is so fun to watch little girls dress up, isn't it? Happy birthday to your granddaughter.